Paperwork | ButtercupPunch - "La clique, c’est chic!" 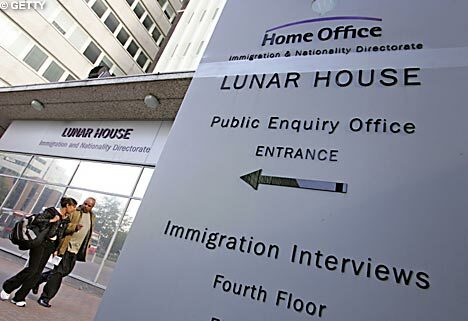 A week ago I had an appointment with the British Home Office in Croydon to upgrade my immigration status from a sponsored Work Permit to Tier 1 Visa as a Highly-Skilled Worker, for which I am newly qualified. My reasons for this are two-fold: for one, I am job-hunting, and this grants me the ability to work for any employer in any industry within the UK, rather than relying on new sponsorship within my current profession; secondly, although I still have over two years remaining on my Work Permit, I thought it best to get in there fast to take advantage of the recently relaxed requirements for Tier 1 qualification before the new Tory coalition government clamps down on immigration policy. It means that I can continue to live and work in the UK without dependence on a company or a partner, which is a pretty sweet deal, even if it does cost £1095 for the privilege. Like anyone would, I jumped at the opportunity to combine my passion for navigating bureaucratic red tape with the thrilling roller-coaster ride that is the uncertainty of employment and immigration status. It’s like visiting the DMV, but with your livelihood on the line! Already a “highly-strung” personage, I’ve found the experience to be nerve-wracking, especially on top of the dozen job interviews I’ve had over the last couple of months. I feel like I’ve been living in an uneasy state of limbo and have been hopeful that at least settling this aspect of my existence here in London would bring some clarity.